As Women’s History Month comes to a close, I have been thrilled to have the opportunity to read about women who did great things to leave a mark on history. Last week, I shared about MOTOR GIRLS and today, I’m sharing about women who contributed in many ways during WWI. Most of the time when I read about war, I tend to read fictional accounts of WWII. But, sadly, war is war and no matter what timeframe you are reading about there will be horrific details and stories of heroic people who risked their lives to help others. Atwood’s research shows that women were definitely prominent in saving the lives of numerous people during war-time and not just in a hospital or in the home. Numerous women took on the role of spies and resisters helping to hide soldiers or to move information across enemy lines to leak details of plans like to blow up the British tunnel. I think most people would be quite surprised at the level of danger many of these women put themselves in, much like their husbands, brothers, and fathers. Atwood covers each woman in a chapter consisting of just a few pages, telling the story of how she got involved in the war, her heroic deeds, and what happened to her after the war. Sadly, many of the women were arrested and sentenced to life in prison or to death. 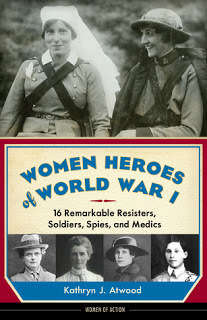 In fact, due to one of the women featured in the book, Edith Cavell, death sentences for women were no longer ordered. Her execution was remembered as one of inspiration for women because Cavell took her duties seriously and faced death with a “calm dignity”. Stories like this were tragic but also proved that women, much like men, were willing to fight for their freedoms. This book sat on my shelf too long and I am so glad that I finally read it. It is definitely an inspiring look at history and the role women played in unexpected areas. Many of them could be an inspiration for a fictional novel based on the war. Since each chapter stands alone, it is a great book to keep in the car and read while waiting in the pick-up line at school or at the doctor’s office. This book like her others about women heroes are written for middle school readers on up. Even though they are considered a young adult series, adults will appreciate the history and facts as well. You can see all of Atwood’s books, HERE. 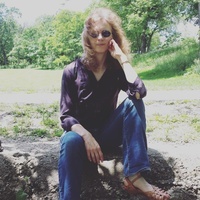 Kathryn J. Atwood is the author of three young adult collective biographies of women and war as well as the editor of Code Name Pauline, the memoirs of WWII SOE agent Pearl Witherington. She has contributed to The Historian and War, Literature, and the Arts, and has been featured on America: Facts vs. Fiction and BBC America. For more information on her books, visit her online at www.kathrynatwood.com.